Recent momentous legislative electoral events may have marked a turning point in the history of modern Venezuelan politics. The overwhelming victory of the Democratic Unity Roundtable (MUD) over President Nicolas Maduro's United Socialist Party of Venezuela (PSUV) has arrived at the point of challenging the very essence of the Bolivarian Revolution's political project at a critical juncture in its history. The country faces alarming murder rates, soaring inflation, and falling oil prices; the combination of the last two factors threatens an economic contraction for the upcoming year. In the past few years, Venezuela has suffered from increased political polarization as the opposition has become more cohesive. This has led to the formation of two distinct political camps which has facilitated a rise in the size and number of protests and demonstrations against Maduro's government. Maduro and the PSUV have accepted electoral defeat despite concerns that Chavistas would attempt to stymie the country's electoral process. Currently, the country's institutions seem to be holding fast and not self-destructing under charges and countercharges, a promising signal of what may come. In the days ahead, both the PSUV and MUD will be severely tested due to the polemic nature of Venezuelan politics. They will have to start from the ground up in order to reconstruct the country and develop a productive working relationship between the two sides, something that has proven all but impossible to achieve in the past. The country as a whole would display a greater sense of responsibility as a civil society that has proven to resist chaos and corruption on more than one occasion. For now, the international community should welcome Venezuela's commitment to democratic stability while closely following future political developments in the country. Article: Republished with permission of Council on Hemispheric Affairs (COHA). 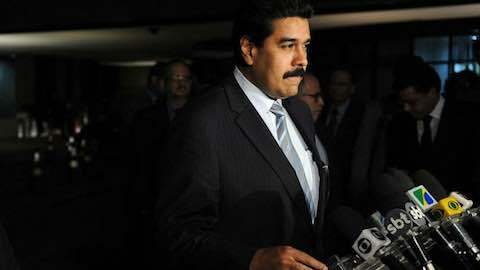 Latin America: "The Real Test Begins for Venezuelan President Maduro"